On April 2 at 6:00 p.m., Dr. Belinda Forbes, missionary with the General Board of Global Ministries of the United Methodist Church will speak at Waskom First United Methodist Church. The community is invited to attend this event. Forbes is assigned to Accion Medica Christiana (Christian Medical Action) in Managua, Nicaragua, an ecumenical organization specializing in community health and development in impoverished regions and home to many indigenous and Afro-descendent populations. A dentist by profession, Forbes is a liaison for Ecumenical Relations and Cooperation in Community Health. She serves God and the church by contributing to a community health dental program, mentors volunteers, and interfaces with the center's international partner organizations. Of her assignment, Forbes shares "AMC's model for local empowerment allows my contribution to be long term and sustainable. AMC has evolved from a clinical based health organization into an agency for transformation, committed to building local capacity among families in health education, farming and nutrition, disaster prevention, clean water and sanitation, women's health and youth leadership. AMC's successes are based on community participation and promoting values of faith and justice. AMC's health programs are more than just a humanitarian response to need. The Christian principles that undergird AMC's work are reflected as a living example of the gospel teachings." 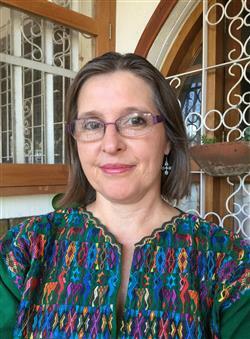 Dr. Forbes arrived in Nicaragua in 1991 as a lay missionary and in 1997 was assigned to serve with the Nicaraguan Council of Protestant Churches, While in that role she became familiar with the work at AMC and joined that organization in 2000, a natural transition in her Global Ministries assignment. Born in Northern Ireland, Forbes was raised in Massachusetts. She holds a B. A. in biology and Spanish from American International College in Springfield, Massachusetts and D.M.D. from Tufts University School of Dental Medicine in Boston. She is a member of the New England Conference of the United Methodist Church and is married to Gerardo Gutierrez, M.D., MPH. They have two children. The community is invited to hear Dr. Forbes' presentation which is expected to last about an hour. Because a light meal will be served, persons are asked to comfirm attendance by March 30 at (903) 687-3837 (leave a message) or email mlvaughan@shreve.net. Waskom First United Methodist Church has been in ministry in the Waskom area since 1921 and Sherry Crenshaw serves as Pastor.